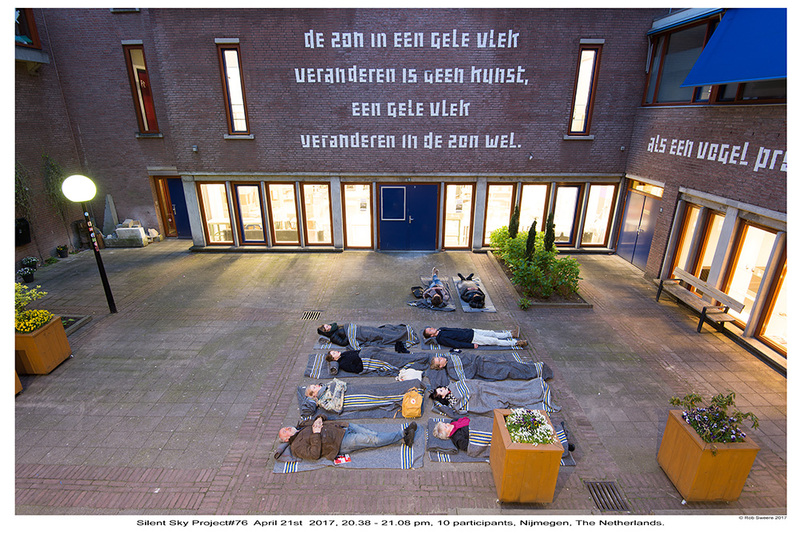 Silent Sky Project#76 April 21st 2017, 20.38 – 21.08 pm, 10 participants, Nijmegen, The Netherlands. At dusk during the festival – The Night of Philosophy – a group of people looked at the sky in silence. Thanks to: Radboud Reflects, cultural center De Lindenberg, William Kloos & team.